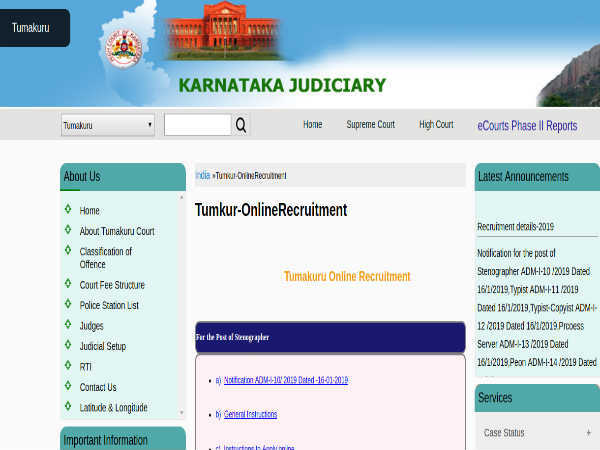 The Tumkur District Court has released a notification inviting online applications from eligible candidates for filling 49 vacancies to the posts comprising Typists, Stenographers, Typist-Copyist, Peons and Process Servers. The application towards the same begins from 21 January 2019 and closes on 20 February 2019 by 11.59 pm. 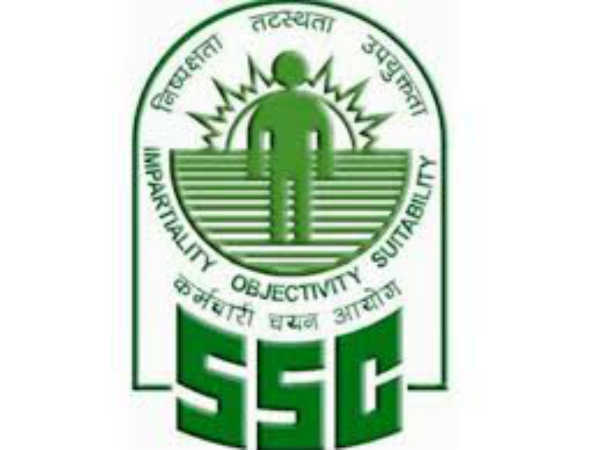 The candidates applying for posts of Typists, Stenos, Typist-Copyist, Process Servers and Peons through Tumkur District Court Recruitment 2019 must have completed 18 years of age and not exceeded 35 years, with a relaxation (upper age limit ) of 5 years for SC/ST and Category I candidates and 3 years for OBC candidates (2A/2B/3A & 3B). Candidates are required to pay a prescribed fee of Rs. 200/- Gen/OBC (2A/2B/3A & 3B) and Rs. 100/- (SC/ST/Cat-1) towards the application process for the posts of Stenographers, Typist and Typist-Copyist; a fee of Rs 100/- Gen/OBC (2A/2B/3A & 3B) and Rs. 50 (SC/ST/CAT-1/PWD) should be deposited for the posts of Process Servers and Peons. 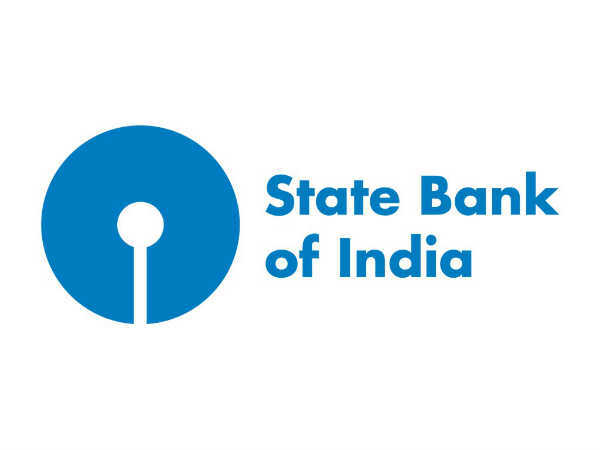 Payments must be made either through online (net-banking/debit/credit payment gateways) mode, or in offline mode through SBI Challan. Candidates applying for the post of Peon must have passed 7th Class/Grade from a recognised Board; those applying for the post of Stenographers must have passed SSLC or equivalent and obtained a certificate in Kannada and English Senior Shorthand as well as Kannada and English Senior Typing approved by DPI. 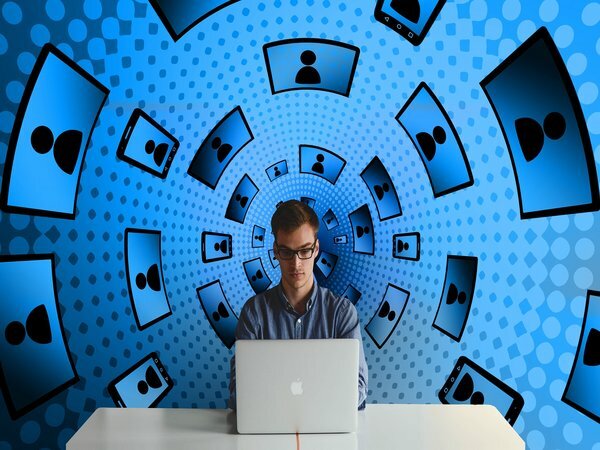 Candidates applying for the post of Typist must have passed 10 Class or equivalent and must have qualified in Kannada and English Senior Typing approved by DPI and those applying for the post of Typist-Copyist must have passed 10 Class or equivalent and must have qualified in Kannada and English Junior Typing approved by DPI. Candidates applying for the post of Process Servers must have passed SSLC/Class 10 or equivalent from a recognised Board/Institute and must have secured LMV TR licence. The selection of candidates to the posts of Stenographer, Typists, Typist-Copyist, Process Servers and Peons for Tumkur District Court Recruitment 2019 will be done through a Written Test/Skill Test followed by an Interview. Stenographers will be paid an emolument of Rs 27,650/ - Rs 52,650/- per month. Typists and Typist-Copyist will be paid an emolument of Rs 21,400/ - Rs. 42,000/- per month. Peons will be paid an emolument of Rs. 17,000/ - Rs 28,950/- per month. Process Servers will be paid an emolument of Rs.19,950/- Rs. 37,900/- per month.